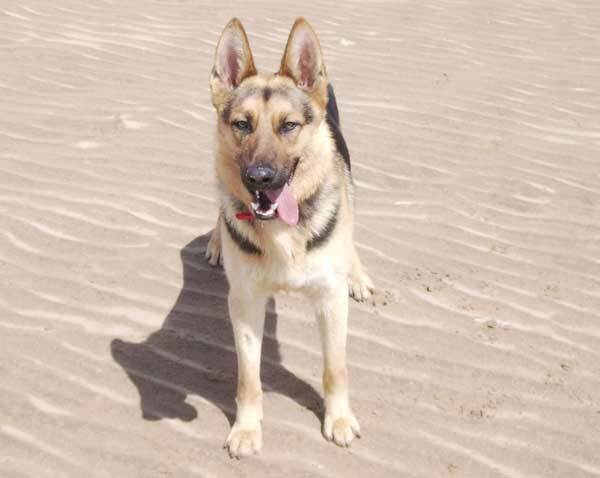 This is the lovely Xena who we were convinced was at the end of the road when assessed in her owners home. Sadly Xena died 2 weeks after being move to a kind foster home. The vets said that at some point she had been used for breeding enmasse! This was the second Game Fair event in two weeks attended by the GSDR team. A fantastic day was had by volunteers and the four legged helpers. This is a lovely heart warming story about a dog that was used as a guard dog so hadn't had much of a life. Why is it that some dogs really pull the short straw in life. If a home wasn't found in a week, Bruno was being taken to the vets to be put to sleep.Thankfully the company that owned him made one last effort and contact us first and we got him out into a place of safety with a volunteer.